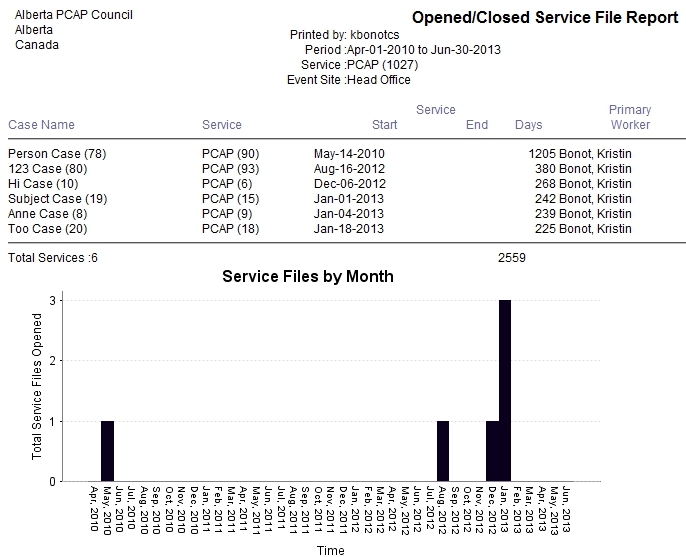 Look for the grey heading “Case Service Reports”, and then click the link for “Opened/Closed Service File Report”. A box should appear with the title “Parameters”. Under “Event Site”, select your site number. Report options: You may choose to report on “Open” or Closed Files. Opened files includes all files that were ever opened (even files that were eventually closed). Closed files includes only files that were closed. You may select “Include Chart” to see a bar graph of the number of files opened or closed according to month.